Customized window film solutions can turn any piece of glass into a work of art without the cost of buying new or specialized glass. Today, decorative window film allows you to customize glass in your home or business for added beauty and effective privacy. Tint By Masters offers decorative window film in Orlando as part of our commercial window film and residential window film services. If you want to see the amazing kinds of decorative window film we have you can view our works. Decorative window films are an excellent choice for windows in any area of the home. Customized window film allows our window film contractors to completely personalize your space in terms of both aesthetics and function for improved comfort and appeal. White frost window film can be used to partially or completely block a room for privacy, while still allowing natural light inside to brighten and open the space. This type of home window tinting is popular in bathrooms and rooms that face neighbors’ homes or busy streets. Decorative window film, such as textured designs or even stained glass window film patterns, can provide privacy and complement the look of your home from the inside and the outside at the same time. Many homeowners opt to add this kind of window film solely for aesthetics on both ground-floor and upper-story windows. If you have a glass front door or glass panels adjacent to your door, decorative glass film can add to the appeal of these features and let natural light pass through, while blocking the view others have into your home for added privacy and security. As office building design changes and evolves, the use of glass helps workspaces to feel brighter, more appealing, and more connected for an integrated work experience. Decorative glass film can be used to improve the stylistic appearance of your office, as well as provide privacy for personal offices or meeting rooms. Decorative film for glass windows is an easy, cost-effective, and beautiful way to improve or update an office space that integrates glass walls, partitions, or railings. Window films can also reduce the appearance of smudges and fingerprints in busy areas. Fauxed stained glass window film and etched window glass can be used to define spaces or even identify floors and specialized areas in an office with 3M fasara glass finishes or crystal glass finished. 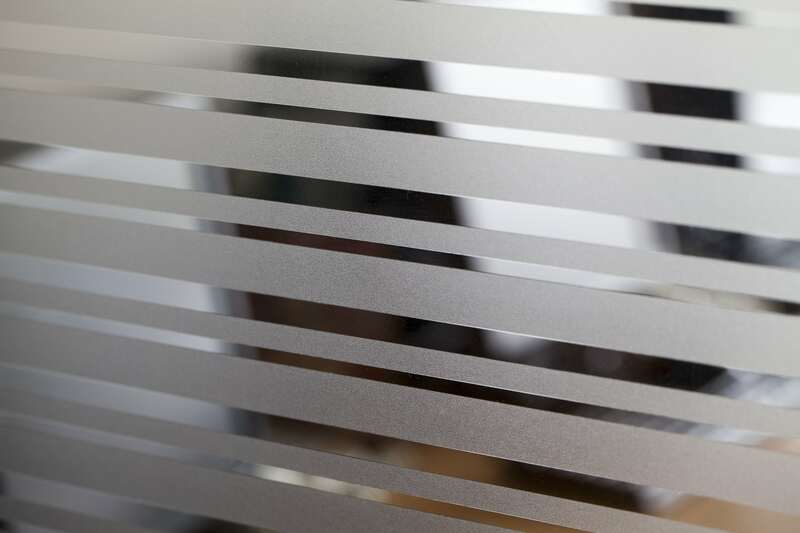 Frosted glass film is an excellent choice for privacy in the workplace. These films allow light to pass through so rooms feel large and open, while blocking outsiders’ view to maintain a personal space for meetings and discussions. 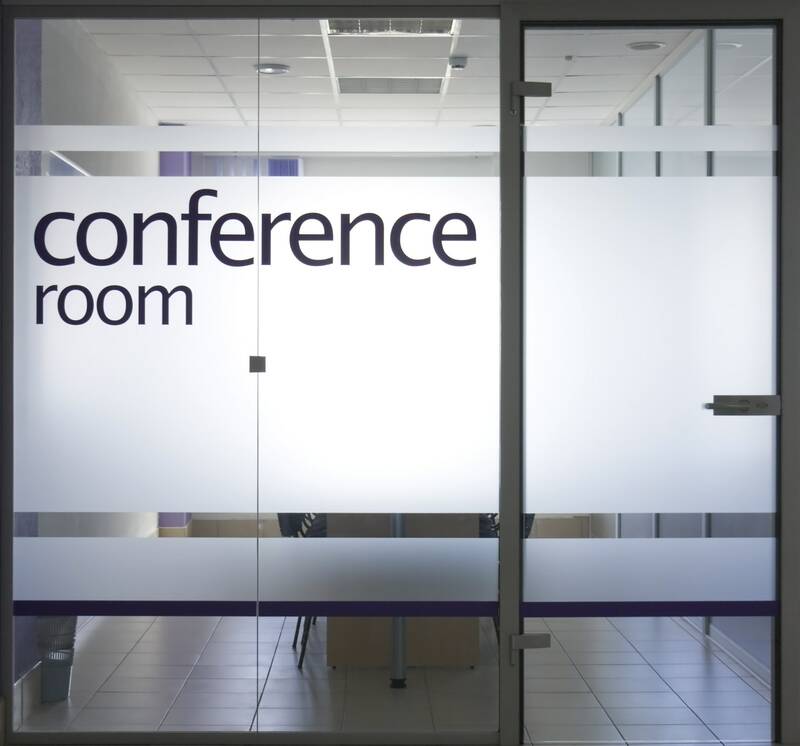 Privacy window film can easily change any glass into a great discrete privacy style location for meetings and planning sessions. You can also get privacy stained glass window film for a more stylish look. Solar window film can protect you from harmful UV style rays with solar style and 3M window film provides sun control. Security window film can stop intruders from entering your home or business with security style. Government window film can be a blackout style so that private meetings can take place. Tint By Masters is pleased to offer residential decorative window film and commercial decorative window film near Winter Park and throughout the Orlando area. You can find out more about our privacy window film and other products as well as our window film installation and window film repair process when you call (407) 521-0920.